[09-Apr-19] The PO.DAAC is pleased to announce the availability of data from the NASA SPURS-2 field campaign. This initial release includes the first seven of what will ultimately be a total of twenty eight in-situ datasets produced during SPURS-2 that will be archived/distributed by the PO.DAAC. Datasets comprising this release include: vertical profile data from lowered conductivity, temperature, depth (CTD), expendable bathythermograph (XBT) and ARGO profiling float instruments, water column current velocity profiles from shipborne Acoustic Doppler Current Profiler (ADCP), along-track multivariate sensor measurements from Saildrone, WAMOS wave radar data, and precipitation imagery data from the SEA-POL rain radar. [25-Jan-19] The PO.DAAC is pleased to announce the availability of the PI-produced JPL V4.2 SMAP Sea Surface Salinity (SSS) and extreme winds data, which includes Level-2B (L2B) and Level 3 (L3) standard datasets based on the JPL Combined Active-Passive (CAP) algorithm applied to data from the NASA Soil Moisture Active Passive (SMAP) observatory. 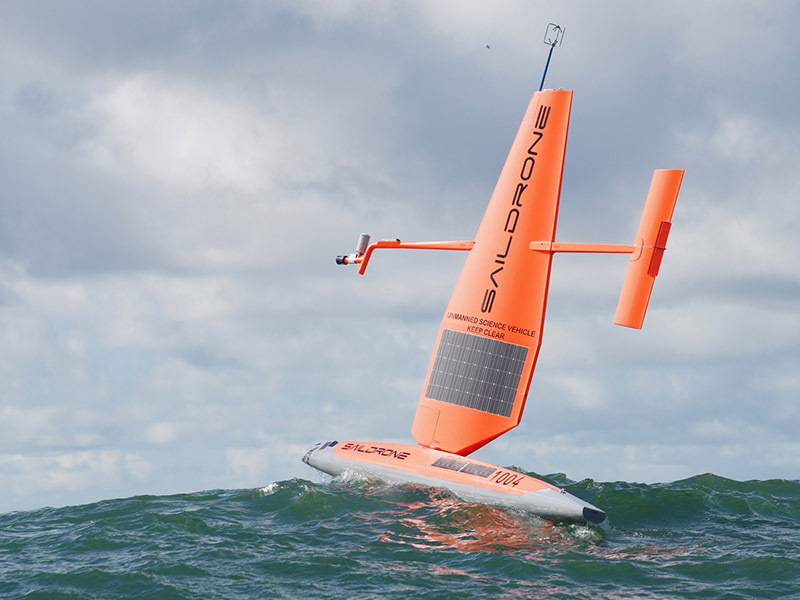 [02-Jan-19] The PO.DAAC is pleased to announce the availability and first official release of the Saildrone Baja Field Campaign Dataset. [05-Nov-18] The PO.DAAC is pleased to announce the availability of the version 3.0 SMAP Sea Surface Salinity (SSS) data from Remote Sensing Systems (RSS). [02-Oct-18] The Physical Oceanography Distributed Active Archive Center (PO.DAAC) is pleased to announce the availability of new Level-2 and 3 datasets from the Combined Active-Passive (CAP) Algorithm applied to the version 5.0, end of mission Aquarius/SAC-D data. [27-July-18] The Physical Oceanography Distributed Active Archive Center (PO.DAAC) is pleased to announce the availability of the Level 4 optimally interpolated, 0.5 degree, near-global, 7-day sea surface salinity (OISSS) product for version 5.0 of the Aquarius/SAC-D dataset. OISSS is a principal investigator produced dataset developed at the International Pacific Research Center (IPRC) of the University of Hawaii at Manoa, School of Ocean and Earth Science and Technology (SOEST). [03-July-18] The PO.DAAC is pleased to announce the availability of the Aquarius celestial sky microwave emission map ancillary dataset from Goddard Space Flight Center (GSFC). [25-Apr-18] The PO.DAAC is pleased to announce the availability of updated version 2.0 SMAP Sea Surface Salinity (SSS) data from Remote Sensing Systems (RSS) at a spatial resolution of 70km. [22-Feb-18] The PO.DAAC is pleased to announce the availability of the PI-produced JPL V4.0 SMAP Sea Surface Salinity (SSS) and extreme winds data. [25-Jan-18] The PO.DAAC is pleased to announce the availability of the level 3, monthly Aquarius Radio Frequency Interference (RFI) V1.0 dataset produced by NASA/GSFC. The product provides insight into the global distribution of RFI at L-band and serves as a useful adjunct to the Aquarius V5.0 end-of-mission data recently released. 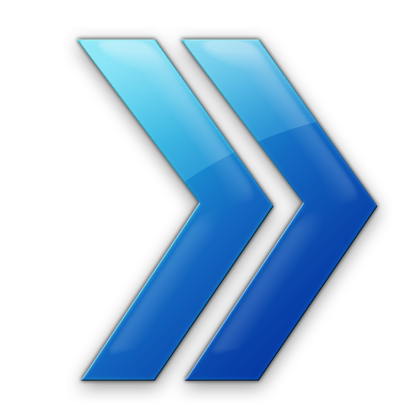 [07-Dec-17] The PO.DAAC is pleased to announce the availability of the version 5.0 Aquarius/SAC-D data. This is the official NASA/Aquarius Project end-of-mission dataset spanning the complete 3-year, 9-month period of Aquarius science data availability, from August 25, 2011 through June 7, 2015. [26-July-17] Dr. Gary Lagerloef, Senior Scientist of Earth & Space Research, was recently selected as this year's recipient of the Verner E. Suomi Award by the American Meteorological Society (AMS). He will be honored in Austin, TX at the annual AMS meeting in January 2018. [17-Jan-17] Gary Lagerloef, principal investigator of NASA's Aquarius mission to study the salinity of the ocean surface, has received Argentina's International Cooperation Award in Science, Technology and Innovation. The award, presented by the nation's Ministry of Science, recognizes non-Argentinians who have contributed significantly to increasing Argentina's international collaborations in the fields of science and technology. [18-Nov-16] The PO.DAAC is pleased to announce the availability of the version 2.0 SMAP Sea Surface Salinity (SSS) data from Remote Sensing Systems. This builds upon the legacy of the Aquarius/SAC mission and the official NASA salinity retrieval algorithm applied now to observations from the Soil Moisture Active Passive (SMAP) mission. [16-May-16] The saltiness, or salinity, of seawater depends largely on how much moisture is pulled into the air as evaporative winds sweep over the ocean. But pinpointing where the moisture rains back down is a complicated question scientists have long contended with. Now, scientists have found a potential path to better seasonal rainfall predictions. Their study shows a clear link between higher sea surface salinity levels in the North Atlantic Ocean and increased rainfall on land in the African Sahel, the area between the Sahara Desert and the savannah across Central Africa. [03-Mar-16] onboard instruments began observations soon after in April 2015. Although SMAP was designed to measure soil moisture from space, its L-band radiometer can also be used to measure sea surface salinity. [17-Jun-15] An international Earth-observing mission launched in 2011 to study the salinity of the ocean surface ended June 8 when an essential part of the power and attitude control system for the SAC-D spacecraft, which carries NASA's Aquarius instrument, stopped operating. The Aquarius instrument successfully achieved its science objectives and completed its primary three-year mission in November 2014. [17-Jun-15] La Comisión Nacional de Actividades Espaciales (CONAE) del Ministerio de Planificación Federal, Inversión Pública y Servicios informa que el satélite argentino SAC-D Aquarius concluyó su servicio operativo. En vísperas de iniciar su quinto año en órbita y tras haber cumplido exitosamente su misión prevista para tres años según su diseño original, el SAC-D Aquarius alcanzó su objetivo de observar el océano, el clima y el medioambiente. [16-May-15] NASA laboratory experiments suggest the dark material coating some geological features of Jupiter's moon Europa is likely sea salt from a subsurface ocean, discolored by exposure to radiation. The presence of sea salt on Europa's surface suggests the ocean is interacting with its rocky seafloor - an important consideration in determining whether the icy moon could support life. [02-Mar-15] Chris Howell's article, The Coming of SMAP, Part Two: SMAP, Aquarius and Our Planet's Water Cycle, has been published by AmericaSpace. It features interviews with Dr. Simon Yueh, NASA Jet Propulsion Laboratory and Dr. Rajat Bindlish, visiting scientist, USDA-ARS Hydrology and Remote Sensing Laboratory. [27-Jan-15] Chris Howell's 22-September-2014 interview with Simon Yueh, SMAP, Aquarius, and Our Planet's Water Cycle: Another Step Forward in Solving Climate Puzzle, is now available on the AmericaSpace website. This in-depth interview covers Simon's contributions to Aquarius and SMAP and the close ties between these missions. [11-July-14] Data from NASA's Aquarius instrument has helped researchers create worldwide maps of soil moisture, showing how the wetness of the land fluctuates with the seasons and weather phenomena. [07-July-14] Scientists working with data from NASA's Aquarius instrument have released worldwide maps of soil moisture, showing how the wetness of the land fluctuates with the seasons and weather phenomena. 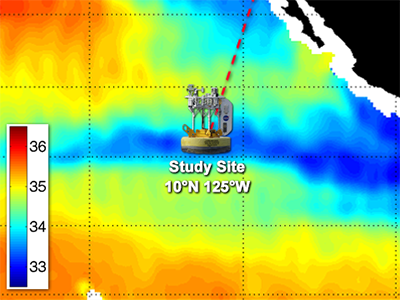 [25-Mar-13] Scott K. Johnson reports on the Aquarius/SAC-D observatory - one of the newest members of Earth-observing satellites - and ongoing work by the Salinity Processes in the Upper Ocean Regional Study (SPURS) in the field of sea surface salinity. [27-Feb-13] Colorful images chronicle the seasonal stirrings of our salty world: Pulses of freshwater gush from the Amazon River's mouth; an invisible seam divides the salty Arabian Sea from the fresher waters of the Bay of Bengal; a large patch of freshwater appears in the eastern tropical Pacific in the winter. These and other changes in ocean salinity patterns are revealed by the first full year of surface salinity data captured by NASA's Aquarius instrument. [07-Feb-13] Rachel Berkowitz reports that salinity differences - the marker of the oceanic water cycle - have intensified in the upper 700m of the ocean during the past 50 years. 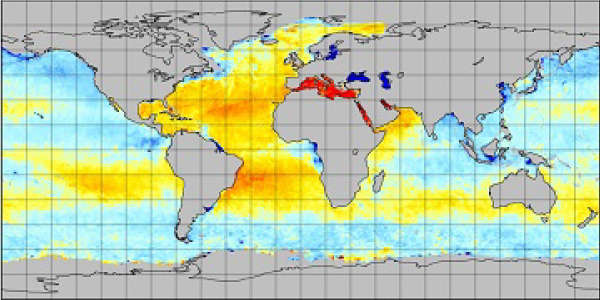 [08-Nov-12] Researchers at Scripps Institution of Oceanography, UC San Diego report that changes in ocean salinity over the second half of the 20th century are consistent with the influence of human activities and inconsistent with natural climate variations. [15-Jun-12] Aquarius PI Gary Lagerloef's article Satellite Mission Monitors Ocean Surface Salinity is featured in this month's issue of EOS Transactions, American Geophysical Union. 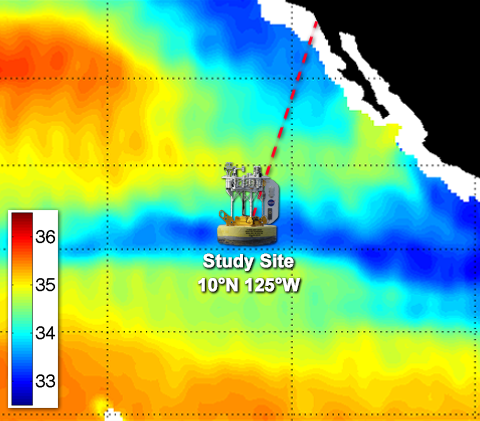 [13-Jun-12] New research using salinity data from NASA's Aquarius instrument on the Aquarius/SAC-D observatory has given scientists an unprecedented look at a key factor involved in the formation of an oceanic wave feature in the tropical Pacific and Atlantic Oceans that influences global climate patterns. [11-Jun-12] It's been a busy first year in space for Aquarius, NASA's pioneering instrument in the measurement of ocean surface salinity from orbit. [10-Jun-12] NASA's Ask Magazine describes the development of the satellite from the perspective of Luis Genovese, Project Manager for the Aquarius/SAC-D observatory. [12-Apr-12] A new Science article reports that the water cycle has accelerated by about 4 percent over the last half century. This finding may indicate a higher potential for extreme weather in the coming decades. In an interview with The New York Times, Aquarius science team member, Raymond W. Schmitt, a senior scientist at the Woods Hole Oceanographic Institution, said "the amplification pattern that he sees is really quite dramatic". [09-Dec-11] Tropical Storm Lee made landfall over New Orleans on September 2-3, 2011, with predicted rainfall of 15 to 20 inches (38 to 51 centimeters) over southern Louisiana. This coincided with a surge in discharge from the Mississippi River around that time. NASA's Aquarius instrument on the Aquarius/SAC-D spacecraft detected a corresponding low-salinty feature between the Mississippi River delta and the Florida panhandle. [31-Oct-11] NASA's top official, Administrator Charles Bolden Jr., met with President Cristina Fernandez de Kirchner on October 25. During the meeting, a Framework Agreement on Cooperation in the Peaceful Use of Outer Space was signed between the governments of the United States and Argentina. [30-Oct-11] Read more about the launch of Aquarius from news agencies around the world. 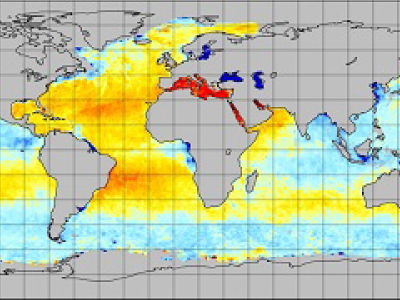 [22-Sep-11] Aquarius has produced its first map of global ocean salinity. The map is a composite of the first two and a half weeks of data since the instrument became operational on August 25. Yellow and red colors represent areas of higher salinity, with blues and purples indicating areas of lower salinity. [01-Sep-11] NASA's Aquarius instrument has successfully completed its commissioning phase and is now "tasting" the saltiness of Earth's ocean surface, making measurements from its perch in near-polar orbit. [10-Jun-11] View the post-launch news conference at Vandenberg Air Force Base. [07-Jun-11] View the pre-launch news conference at Vandenberg Air Force Base on UStream (the Aquarius portion of this video begins at about 00:05:00). [02-Jun-11] Salt is essential to human life. Most people don't know, however, that salt - in a form nearly the same as the simple table variety - is just as essential to Earth's ocean, serving as a critical driver of key ocean processes. While ancient Greek soothsayers believed they could foretell the future by reading the patterns in sprinkled salt, today's scientists have learned that they can indeed harness this invaluable mineral to foresee the future - of Earth's climate. [02-Jun-11] NASA's Jet Propulsion Laboratory (JPL) in Pasadena, California, will host a Tweetup for approximately 120 Twitter followers on Monday, June 6. Tweetup participants will interact with JPL scientists and engineers about these upcoming missions: Aquarius, to study ocean salinity; Grail, to study the moon's gravity field; Juno to Jupiter; and the Mars Science Laboratory/Curiosity rover. [25-May-11] The breakthrough moment for oceanographer Gary Lagerloef, the principal investigator for NASA's new Aquarius mission, came in 1991. That's when he knew it would be possible to make precise measurements of ocean salinity from space. It has taken nearly two decades to turn that possibility into a reality. [20-May-11] Video of the Aquarius Pre-Launch Briefing from NASA HQ. [17-May-11] The Aquarius/SAC-D Launch Press Kit is now available. The kit includes information on media services, quick facts, Mission overview, ocean surface salinity, science goals and objectives, instruments and spacecraft, and Program/Project Management. [17-May-11] Final preparations are under way for the June 9 launch of the international Aquarius/SAC-D observatory. Engineers at Vandenberg Air Force Base in California are now performing final tests before mating Aquarius/SAC-D to its Delta II rocket. [17-May-11] The Aquarius/SAC-D Science Writers Guide is now available. [12-May-11] NASA will hold a news briefing on Tuesday, May 17, at 10 a.m. PDT (1 p.m. EDT), on the agency's next Earth-observing satellite mission, Aquarius/SAC-D, scheduled to launch on June 9. [18-Apr-11] Debra Werner reports on the expectations of the Aquarius mission. [06-Apr-11] With more than a few stamps on its passport, NASA's Aquarius instrument on the Argentinian Sat élite de Aplicaciones Científicas (SAC)-D spacecraft will soon embark on its space mission to "taste" Earth's salty ocean. [31-Mar-11] The Aquarius/SAC-D spacecraft has arrived at its launch site at Vandenberg Air Force Base in California. Following final tests, the spacecraft will be attached to a Delta II rocket for a June 9 launch. [28-Mar-11] After nine months of successful space environmental testing, the Argentine EO satellite, Aquarius/SAC-D, is ready to start the launch campaign. [14-Dec-10] The launching of two new spacecraft in 2011 should expand our understanding of Earth's climate. Glory, a NASA mission set to launch no earlier than February, will study the roles of two critical elements of Earth's climate system: the sun's total solar irradiance and atmospheric airborne particles called aerosols. Then in June, NASA and the Space Agency of Argentina, Comisión Nacional de Actividades Espaciales (CONAE), will jointly launch the Aquarius/Satélite de Aplicaciones Científicas (SAC)-D mission to make space-based measurements of how the concentration of dissolved salt varies across Earth's ocean surface. [10-Dec-10] The new Multimedia Gallery page for Aquarius was released today. This resource has links to high-resolution animations and images featuring the Aquarius/SAC-D Spacecraft, salinity, water cycle, ocean circulation and climate, along with other pertinent documents. [01-Nov-10] The new Aquarius/SAC-D Mission lithograph summarizes science objectives, the water cycle, ocean circulation and climate, and the society benefits of Aquarius measurements. [10-Aug-10] The 6th Aquarius/SAC-D Science Meeting was held in Seattle, Washington, USA, 19-21 July 2010. Aquarius/SAC-D science objectives address ocean circulation, the global hydrological cycle, climate variability, land processes, land use, soil moisture, natural hazards, health applications, cryosphere, and others. Oral presentations are available online. [22-Apr-10] The Aquarius/SAC-D satellite mission will convene the 6th Science Meeting in Seattle, Washington, USA, 19-21 July 2010. This meeting will focus on the science team's preparations for the upcoming launch, including the in-orbit checkout, data processing, calibration, validation and near-term data analysis, as well as near-term science applications. [21-Apr-10] CSIRO scientists Paul Durack and Susan Wijffels present evidence that the surface ocean beneath rainfall-dominated regions has freshened, while areas dominated by evaporation are saltier. [03-Mar-10] NASA's Aquarius instrument, and the Argentinian spacecraft that will carry it into space, the Satélite de Aplicaciones Científicas (SAC-D), successfully rode out one of the largest earthquakes in recorded history February 27 with no problems. The instrument and spacecraft are at the satellite systems contractor's satellite integration facility in Bariloche, Argentina. [01-Oct-09] NASA and Argentina's Comisión Nacional de Actividades Espaciales (CONAE), with support from the Argentine Ministry of Science, Technology and Innovative Production (MinCyT), have selected additional members of the international scientific investigating team for the Aquarius/Satélite de Aplicaciones Científicas (SAC)-D mission, scheduled to launch in 2010. [20-Apr-09] We know that average sea levels have risen over the past century, and that global warming is to blame. But what is climate change doing to the saltiness, or salinity, of our oceans? This is an important question because big shifts in salinity could be a warning that more severe droughts and floods are on their way, or even that global warming is speeding up. [13-Nov-07] A team of NASA and university scientists has detected an ongoing reversal in Arctic Ocean circulation triggered by atmospheric circulation changes that vary on decade-long time scales. The results suggest not all the large changes seen in Arctic climate in recent years are a result of long-term trends associated with global warming. [06-Feb-07] The best oceanographers in the world never studied at a university. Yet they know how to navigate expertly along oceanic fronts, the invisible boundaries between waters of different temperatures and densities. [05-July-06] For the first time, NASA scientists using space-based measurements have directly monitored and measured the complete cycle of water movement for an entire continent. [20-Mar-06] Move over, Superman, with your X-ray vision. Marine scientists have figured out a way to see through the ocean's surface and detect what's below, with the help of satellites. [04-Jan-06] They're carbonated, salty, and alternately wet and dry. Exotic champagnes? No, they're NASA's three Earth System Science Pathfinder small-satellite program missions: Orbiting Carbon Observatory, Aquarius and Hydros. [10-July-02] As part of the Earth System Science Pathfinder small-satellite program, NASA has selected a new space mission proposal that will yield fresh insight into how oceans affect and respond to climate change.